10 years ago, on this exact day, October 26th, the first Witcher game premiered. Time sure flies in good company! 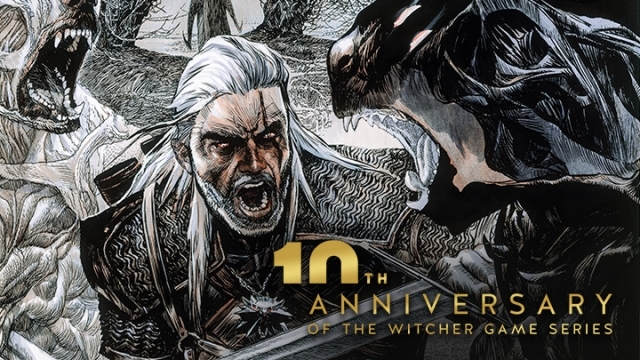 Przemysław Truściński, the man behind some of the first concept arts of Geralt, decided to return to the world of The Witcher and prepared a special anniversary poster, drawn in the spirit of his previous works. Take a look! Brings back some good memories, doesn’t it? We’re very grateful that you have accompanied us on this journey throughout the years, it wouldn’t be possible without you. The festivities are far from over, so make sure to visit our forums and social media later today, for a little surprise. Thank YOU for the past 10 years, which includes everyone responsible for making the game and keeping it alive. I remember the first time I played tw1 thanks to a friend who gave me a hdd filled with titles (this was sometime before I moved out of the the house for the first time after school into the real world myself to discover my own path ha!) and immediately falling in love with it. I was signed up for life right there. 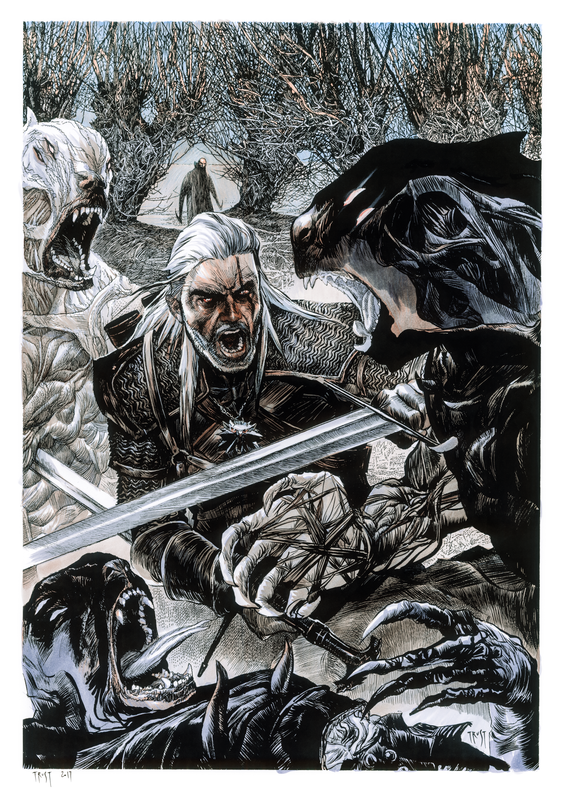 Not only video games largely shaped me into what person I am today, career swapping from computer science to filmmaking, battling mental illness, and ultimately the search for self-identity, Geralt has been a friend at those steps in what could be the biggest quest possible for an individual. The sun is setting, the world is changing, and the vodka's running out, right back at ya guys. Here's to another decade of adventures! Thank you CDPR with all my hearth for the unforgettable memories from awesome series of Witcher games, fantastically made game! EDIT: I have allowed myself to fall morally - this game is sickeningly violent, obscene and pornographic, corrupting to human nature. How I could have so stooped to vile lust - and it proceeds very finely, starting with a mere desire for harmless adventure -- I do not know, but I denounce this game and all like it as utterly evil, eroding the fine morals that Protestant Christianity imputed to the west -- hatred of public discussion of impurity, propriety, hatred of violence. My attempts to artisticise this filth are thin as paper. the female characters are objectivised whores and an insult to women, the men hooligan thugs. It is utterly detestable and I beg you to withdraw it from sale. The memories going back to the fall of 2007 with all those amazing worlds to explore and continuing in W3. I may have to fire up W1 in the next few days. I bet some others too were impressed by some of the vistas in W1. For example the large bright wheat fields, and on the same map or the adjoining map there was the sea shore at night with the moonlight shimmering on the ponds nearby. Now W3 may make those graphics look kind of dated. But back then it was something. Not every map stood out as impressive but most did visually in W1 imo. Thank you for The Witcher games! Ah, now this is what we've been lacking 'round here lately: More bouncing, colourful, sparkling smiles!